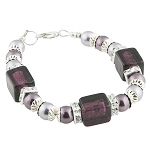 Beautiful Amethyst colored (purple) glass with complementing Peridot Swarovski Crystal. 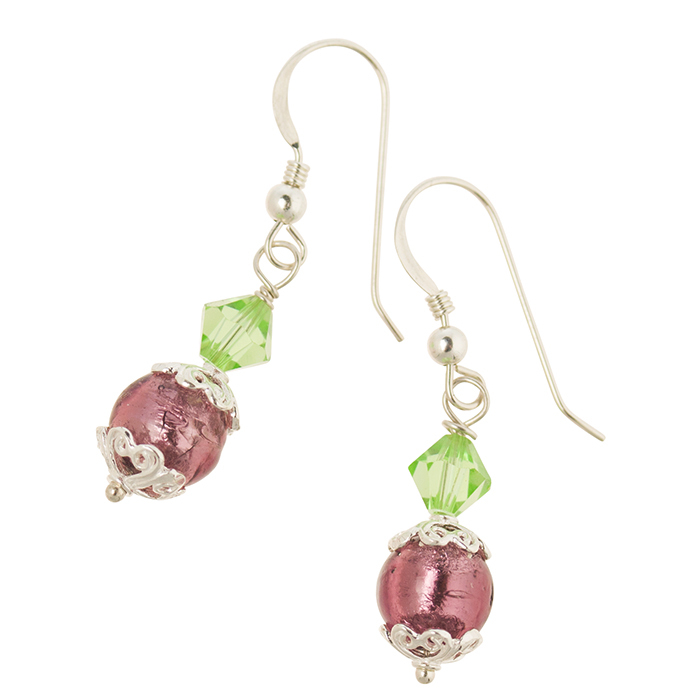 Each bead is handmade over a torch and subject to slight variations. The earwires are .925 Sterling Silver. Lightweight and go anywhere, jeans, suit or evening wear. The size is approximately 1 1/2 Inch Long.